Are you suffering shoulder pain and live in the Maroochydore area? Then we’d like to help you. Shoulder pain has a tendency to often “appear our of nowhere”. It’s easy to assume because the pain is located in the shoulder itself that the shoulder must be the culprit. 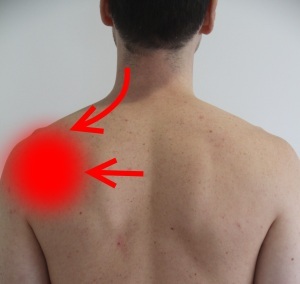 This is the biggest mistake most shoulder pain sufferers make and probably why they haven’t been able to find relief. The latest finding are showing it is often related to a lack of mobility of the spine and poor posture. Pain in the shoulder region can be coming from the neck, midbackor shoulder joint itself. Ultimately, we would love the opportunity to help you find the shoulder pain relief you deserve. When you come in for your first appointment, you will have a consultation and exam with Dr. Leevi (Chiropractor) that is specifically designed to uncover the cause of your shoulder pain. If we can help, we will recommend the most conservative and effective care for your unique situation.